Pinball is a classic game that appeal to users of every age. If you have all new Apple iPad, then checkout glitzy HD version of Pinball game. Play this game in awesome HD graphics and interface on your big screen iPad device. Game promises stunning 3D graphics with great level of realism. 2. Three unique & different full-fledged pinball tables. 3. Cool camera effect and realistic physics. 4. Supports stereo-mode with unique soundtrack. 5. Browse local and global high score tables & more. 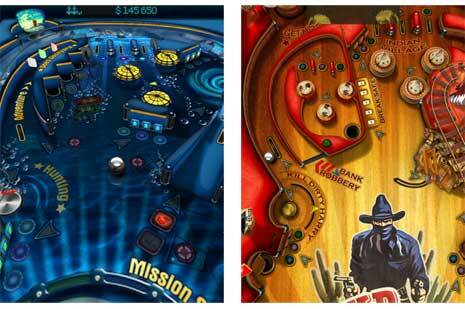 Download Pinball HD game and have some real fun on your iPad. It costs $2.99 – for sure worth a price, like it? Measure Mouse travel & accuracy, for stats crazy ! I am having exactly the same problem. The Apple Genius could not help. Does anyone have the solution? I am having the same problem trying to download this game on my iPad. And, if I try to purchase the game again, I get the message to go to iTunes, etc just like Lou said above. I had NEVER had trouble downloading any games on my iPad until this one. Can anyone help us?!! Cannot get it to install. It is downloaded on my iTunes store, but the iPad won’t install it. Keeps sending me back to “log into my iTunes Store” and I’m already right there.